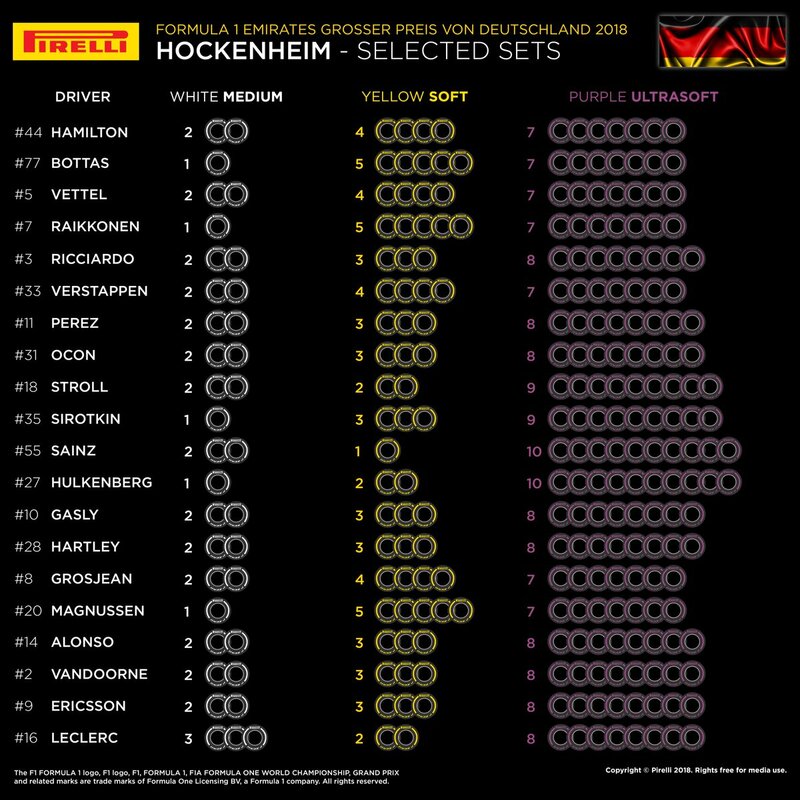 [BILD] What does the Silverstone win mean for the championship? Vettel: "Nothing at all. Lewis is still strong. We also can‘t forget Red Bull. What matters to me is that we constantly develop further, and we are doing that right now." Vettel: "Hockenheim is not an easy circuit. It‘s not easy to find the right setup but we try to manage it this year. For the drivers the last sector is very special, when you go through the Motodrom and see all the fans, hopefully many in red." Vettel: "I saw my first F1 race in Hockenheim. I believe it was in 2000. I‘m still missing a win there but maybe we can catch up on that this year. It will be very special because friends and family will be there." [AMuS] The Ferrari aero update was the third step of a longer program. It started in Canada with the bargeboards, it went on in France with the front wings, Austria, there was a short break and now the new floor was added. That was the whole package in three steps. [AMuS] The new Ferrari engine is better than people thought, not from the engine because that was good from the beginning but more in the electronic side. With Spec 2 Ferrari improved in that area. [AMuS] Apparently Mercedes might want to bring the Spec 3 earlier than planned. They want to introduce it in Spa so they have something against Ferrari. In Hockenheim there will be a small aero update, not much. [Autobild] Vettel after the Silverstone win: "I promise we will continue to put the pressure on!" If we win here it will equal last year's total of 5 with a bunch of races remaining. Really hope we can get it done. I hope ferrari can put more pressure on Mercedes again. We have a solid car me thinks. I quite like this gradual approach of bringing updates to the car. Meaning that the car has good baseline and there is plenty of room for improvement and modifications. Looking forward to great results of German GP and Hungary GP. And hopefully we keep it composed for the coming second half of the season. Haha, Merc feeling the heat, a few months ago it was unthinkable that Mercedes would be so scared and will bring forward upgrades to stand any chance to fight Ferrari. I’m glad they have activate another DRS. I think they are going to do it when possible depending on the race track. Heck yeah Merc are feeling the heat. I posted in the "2018 F1 news" thread about how Mercedes are shuffling people around (Costa to take an advisory role). This happens alot in upper management including F1 when a company's progress or team has hit a road-block. Out with the old, in with the new. Mercedes wants new blood and new innovation to push even more going into 2019 for fear of Ferrari has caught up with them. With those two wins on top of Silverstone one it would be nice summer break! This track is new to everyone. 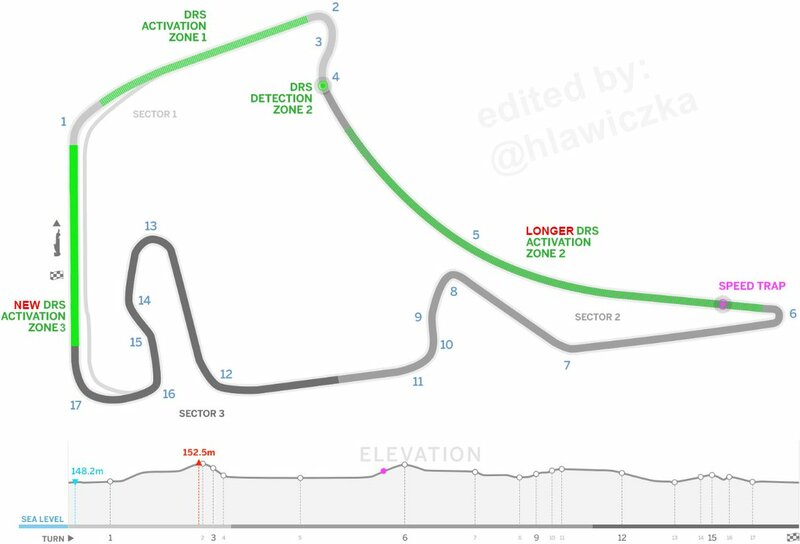 Past data inputs and correlation are out the window since this track held its last F1 race. It will be intesting who performs here but at least we got the normal Pirelli tires back....so for us, we can go the distance on Pirelli's recommended compound lap distance. I for one dont want us to win in hungary because the winner there has never gone on to win the championship in more than 10 yrs. Hopefully it changes this year! the winning driver has never gone to win the championship.not the winning team. so...Kimi....you are free to win there man. I think this Ferrari is ideally suited for a track like Hockenheim and we should have the advantage next weekend. That is superstition talking and it is, pardon me, stupid!!! Ferrari did well on Monaco. More importantly they did better than Merc. There is no reason to believe that the team will not to well in Hungary. RBR will be the biggest challenge there but as long as Seb outscores rapper boy, and Ferrari outscore Merc, it will be fine. ..I do still miss the 'proper' Hockenheim track. Mercedes was better in qualifying in Monaco, Hamilton made mistake as he admitted afterwards: "My first Q3 lap… I was happy with my last one. I was 0.27s but I lost it in the middle and the last sector so naturally not happy with that. That wouldn’t have been enough anyways for pole but it would have made a difference, obviously I would have been second." But Hungary I think, it will be a fight between Ferrari and Mercedes, I don't think Red Bull will be that strong. I am expecting Vettel to be on pole there. Chinmay, again ? Why don’t you go to merc forum ? So you are know citing Hamilton as true words ? Merc starting to feel the pressure they are scrambling expect more whinging from lewis for sure no more free lunches lewis you need to stand up and fight and fight hard ferrari are punching hard now. It’s ferrari track, considering tyres & their car characteristics this year. Mercs will be vulnerable in the coming tracks with those tyres. Hamilton had set the fastest first sector of anybody, was on course to get 2nd position but made usual mistakes which he does most of the time in Q3 and lost position but even Ferrari knows that they were the 3rd best car in Monaco. Ferrari was the best car in Monaco last year but due to wheelbase change became 3rd best this time around. Germany is Mercedes track, Hungary is probably Ferrari track. Totally. No high speed corners and rewards traction that will play to the strengths of the Ferrari. Last I checked Ferrari qualified 2-4 and Merc qualified 3-5 in Monaco. The end result shows that Ferrari was better in qualifying. The race result was the same. That means Ferrari did better in the race. Hamilton making a mistake is part of Merc's performance. You can't separate one from the other in any measurable way. Ferrari ourperformed Merc in Monanco. No amount of your BS, Lewis fellating, mental gymnastics will change that fact. Bounce yourself over to the Merc forum where you belong. So i wonder if this will be damage limitation weekend for Seb, It might be Kimi's best chance for pole and the win. I Kinda want Seb to win here though so i hope this years car suits the track much better than before. Vettel's worst ever track is Silverstone, he was regularly out performed by Webber and Raikkonen but this time, he beat Kimi and won the race. Because the laptimes are quite low, cars won't be spread too much which means Ferrari and Mercedes will be very close and I strongly believe Vettel will make the difference on Saturday.